If you are a tech related company, such as one which provides Software or Software as a Service ( SAAS ), startup or sell technology related products then your website is an extremely important part of your marketing. If you are selling tech, then it is essential that you have a modern website which is fast loading ( make sure you have a good web host ) and responsive with a great looking design. If you are more development orientated then design might not be your strong point, but no matter how good your product or service is, if the design is poor then people will think your product is poor also. The good news is, you don’t have to have a talented designer on board or look to hire an outside company or freelancer anymore, there are a large number of tech related website templates you can purchase and use those to create your website instead. 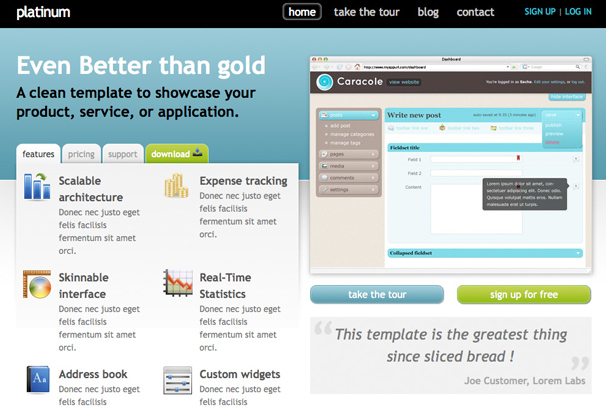 We previously looked at Web App and SAAS Themes for WordPress, but if you prefer to just download the HTML template and code it into your own CMS or even run it as a static website then this collection is for you. 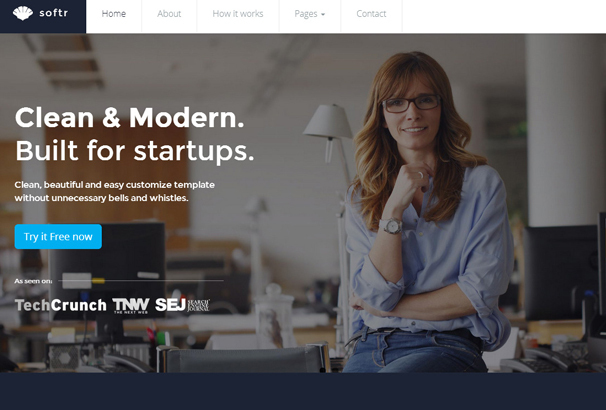 We have gathered together over 50 of the Best HTML Website Templates for Tech Companies, Software Companies, SAAS, Hardware Products, Mobile Companies and just about any other online business who needs a great looking and modern website. 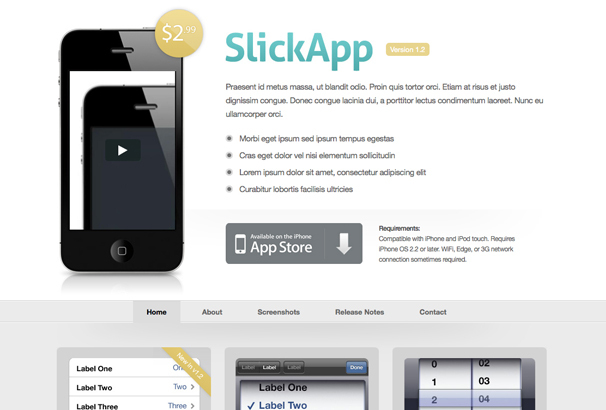 A responsive software website template that uses the sticky menu for better navigation. Packed with features such as Google fonts, a pricing table, progress bars revealing info in percentage and font icons for scanning of the content layout. Moreover, visitors can follow you on social media through social icons. 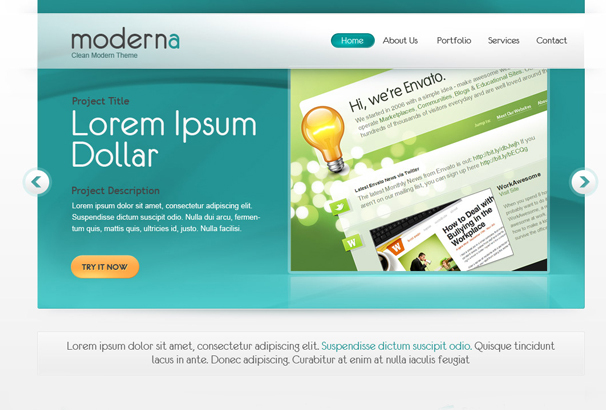 It’s dark headers featured designs, neat icons and rounded CTA buttons offer stunning look to your web design website. Employee photos with their description plus the latest news, subscription forms and social media icons are also present. Trust this if you are looking for a template that performs its best across all devices. Full width slider, sticky headers, progress bars, image hover effects, background videos, live chat, sliced PSD, social icons etc are all meant to captivate the attention and perform its best. 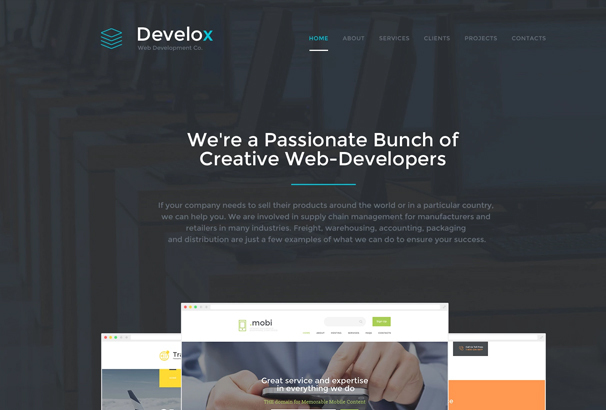 Highly professional and modern template with clean layout, fresh color scheme and positive photos that lets you create your own web development company website and showcase all the necessary info with ease. 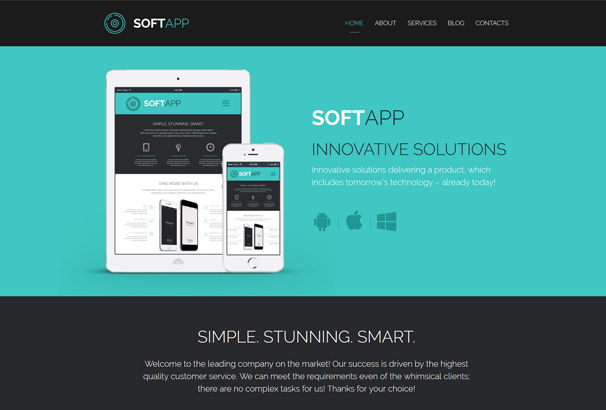 It is a professionally designed and HTML5, CSS3 enhanced theme with customizable backgrounds that help you promote and sell your software and app for desktop as well as mobile devices. 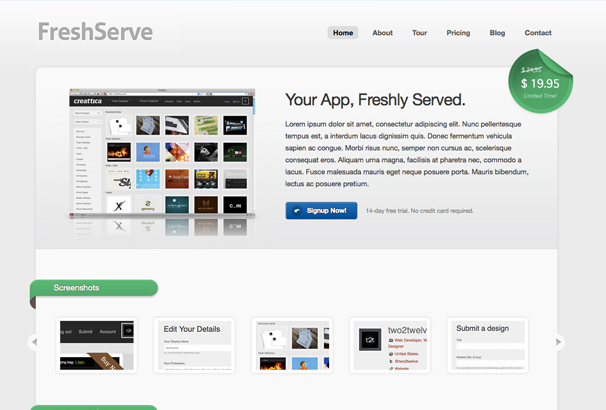 Also offers you a tour page, contact form, and newsletter subscriptions. A responsive Twitter Bootstrap template with flex slider, elastic slider carousel and a pretty photo that helps you create a website of absolutely your choice. 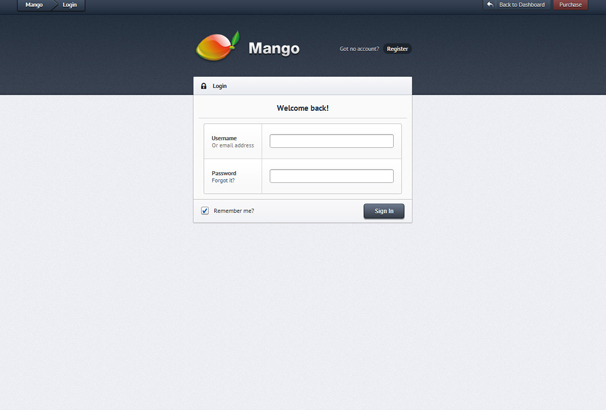 A working contact form, PSD files and W3C valid feature are also present to help functionality. A responsive software HTML template that comes packed with features such as Flex slider, elastislider carousel, prettyPhoto, working contact form, W3C valid, PSD files plus a filterable portfolio. Try this today! 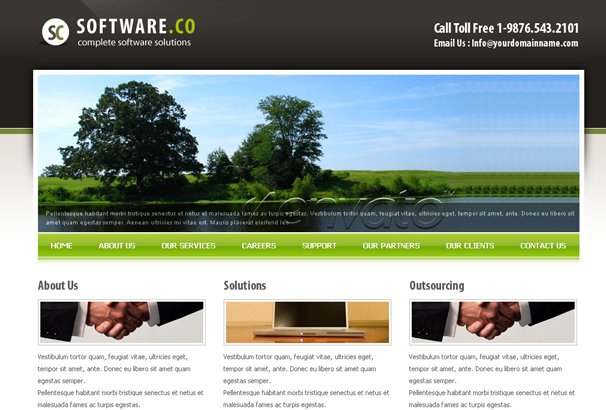 If you are looking for an HTML/CSS template for your Software company, then this is all yours! 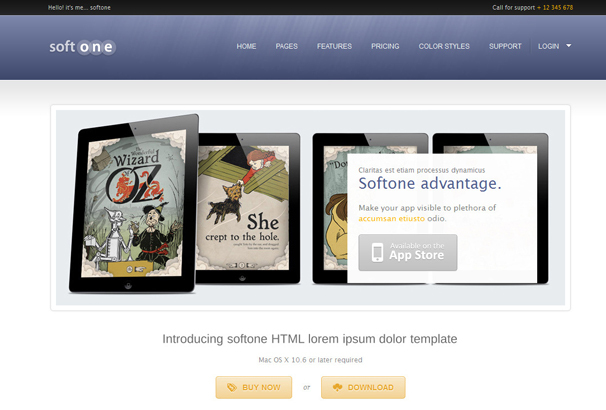 It comes with two column layout, 6 PSD files, jQuery Tabs for slideshow and fixes width. You’ll be surprised to see its clean apple/mac style with white color. Packed with features such as 3 homepage layout variations, flex slider, Nivo slider, prettyPhoto, 4 color styles, PSD files, this Software/ App HTML template is surely gonna win your heart. It also contains, cycle plugin for testimonials, a working contact form and is W3C valid. 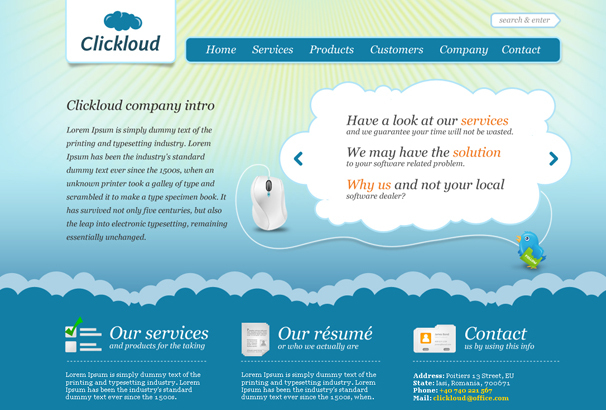 If you are planning on creating a corporate website with a clean and an elegant look, choose this template. Features such as valid HTML/ CSS coding, a working contact form and a Help file that it includes, makes this template more desirable. with creating a fully functional and appealing website. It is a corporate template that comes in 6 colors and is coded with valid XHTML/CSS, contains working Php contact form and 6 PSD files with respective color variations. Try this template today to know more about it. 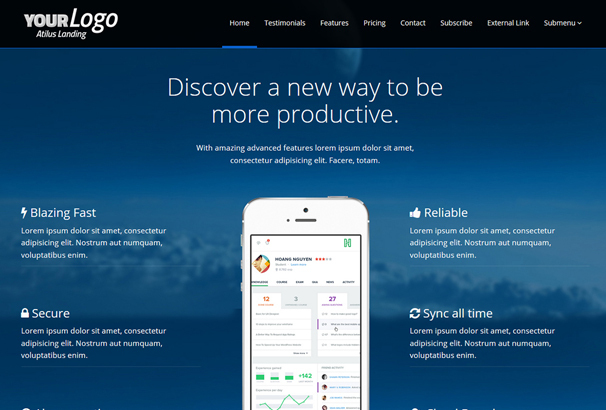 A theme designed for app and software developers that can captivate your visitors. Its unique horizontal design, landing page, Google web fonts, PHP contact forms, separate team section, Layered PSDs, unique blog and portfolio design can amaze anyone who visits your website. As the name suggests, this is a Mac style template with Blue and dark color on the top suitable for any corporate or software company. 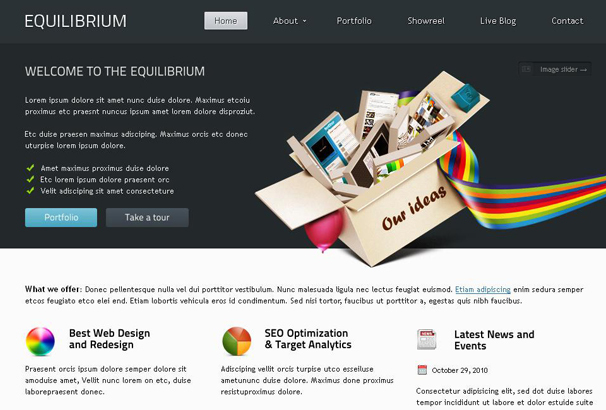 It contains 2 column layout, 6 homepages, 4 PSDs and is coded with valid XHTML and CSS2.1. 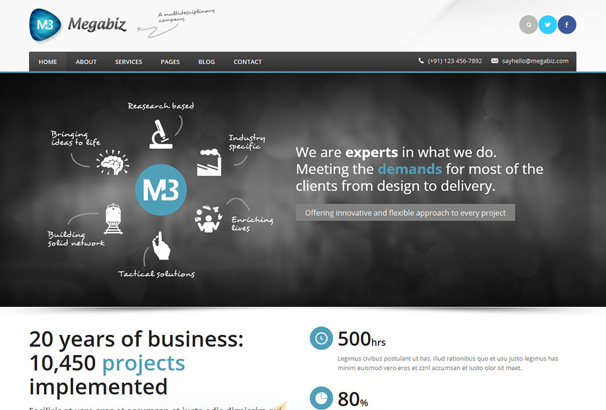 Its clean, minimal and modern organized design makes it ideal theme for your business. Be it Hosting, Architecture studios, Hotel, Health Spa or any other, this theme ensures your website has everything that you need. 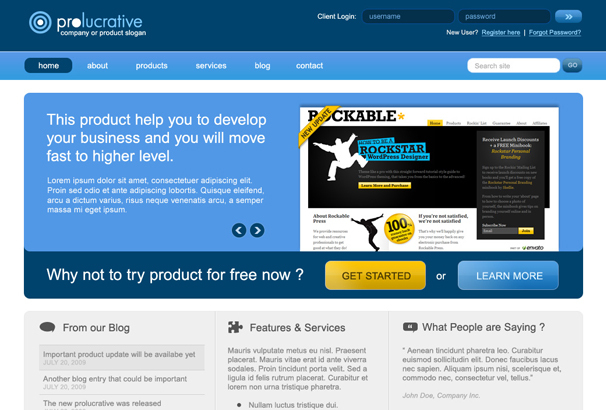 It includes home page, portfolio page, about us page page to help visitors know more about you. It comes in 5 colors and 8 page templates with a grid based design that help you create an awesome website for your business. Its valid coding is done with XHTML/ CSS in a way that it boosts SEO results. Other than this, it is supported by all browsers and is easily customisable. 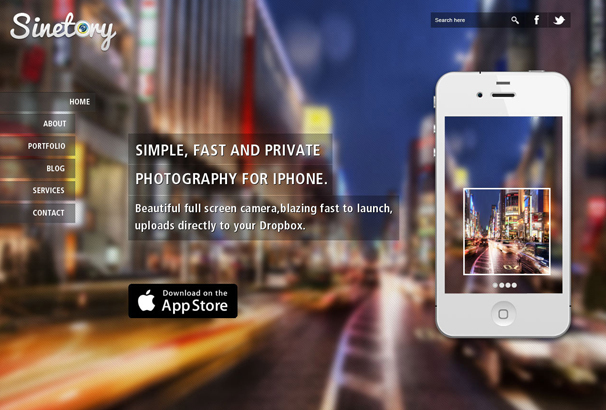 As the name suggests this theme comes with limitless features. 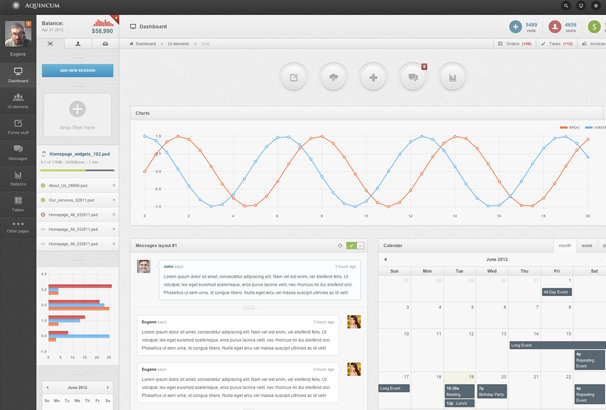 In short, it is a clean and an minimal admin template based on Bootstrap and LESS. It is loaded with features such as 5 built layouts, 4 sidebars, advanced megamenu, retina ready graphics, built in color systems, 1000+ pages and much more. 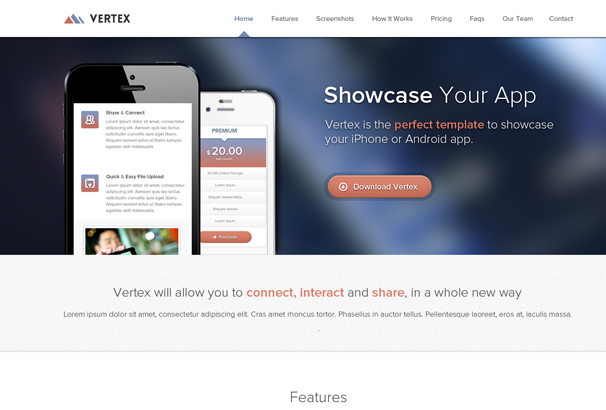 Its Starter kit is designed to make the life of a developer easier. Use this template if you are looking for easily customisable and a fully featured template for your business. It comes with features such as slider revolution, responsive layout, unlimited color schemes, photoshop files, working e-mail contact form, plus a video documentation that contains a written document regarding any help. Need we say more? This unique Bootstrap and jquery compatible template comes with lots of custom elements, 35+ plugins and a flexible content structure. Additionally, it has 3 columns, liquid sidebar, 6 background colors, animated progress bars etc. 12 column grid for main content and widgets make the template more flexible for any type of content. Checkout for more information. 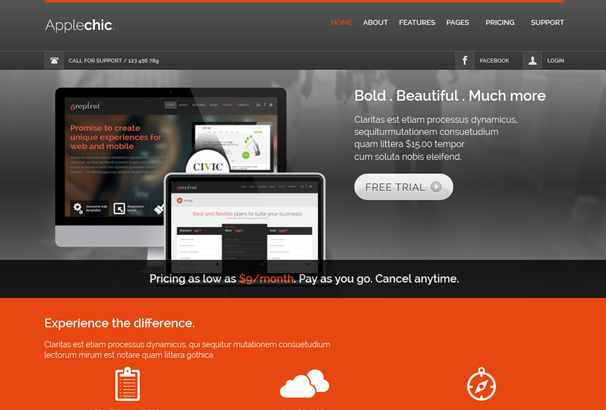 This is a one page creative, clean and modern HTML template which is fully responsive and customizable. 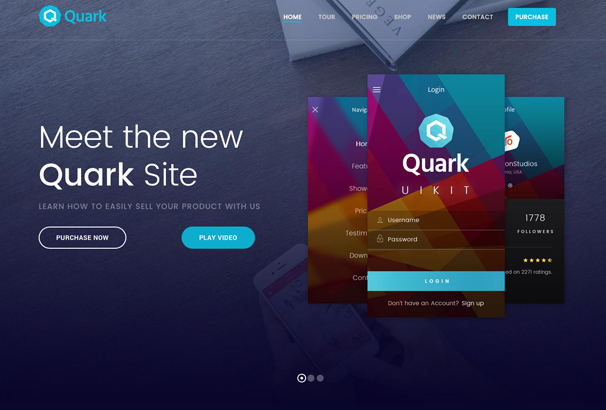 Some of its features include 8 color schemes, parallax animation, isotope gallery, a well-documented guide and an ajax contact form that simplifies the entire creating and browsing experience. 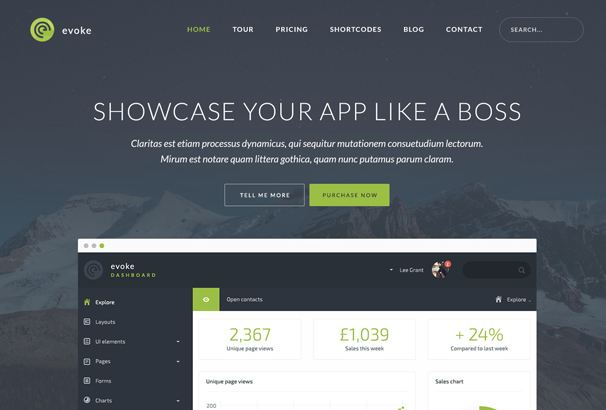 An HTML template that gives an aesthetic look to your website. 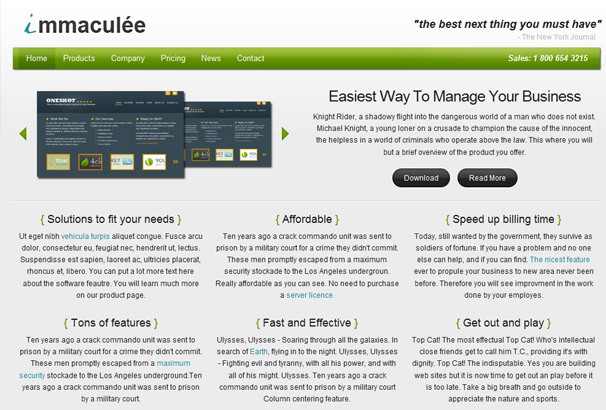 Customization of the website comes easy with 9 well-documented templates. Features such as animated header images, Google fonts, Social icon fonts, line icons, pricing tables, parallax animation makes the template more captivating and desirable to choose. 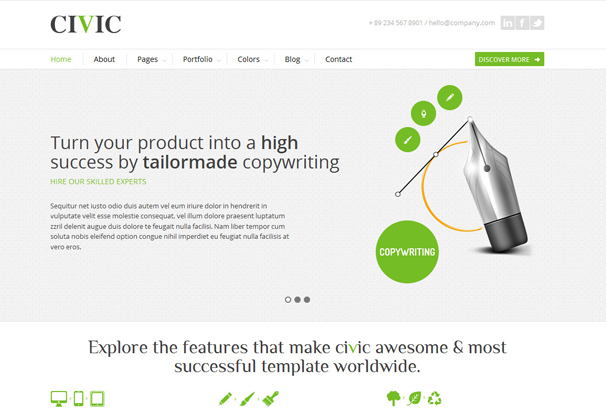 An HTML/ CSS template used for creative and corporate business. Loaded with features such as 8 page templates, unique layout, 4 color schemes, a fancy box for images and video makes the template adorable to use. Check out for more info. 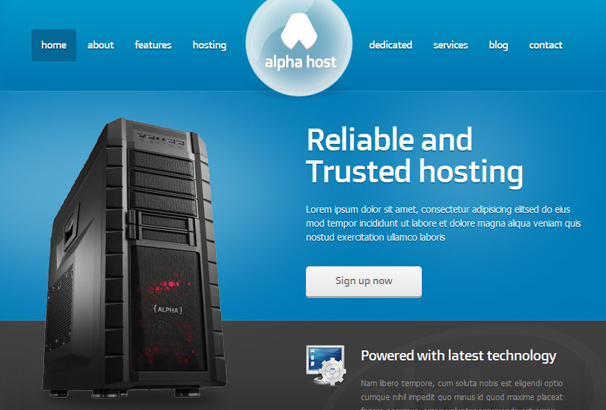 With modern design and packed with amazing features, this hosting website template contains 18 HTML pages, 14 layered PSD files, documentation file, a working contact form, CSS and JS files and is coded with valid XHTML. 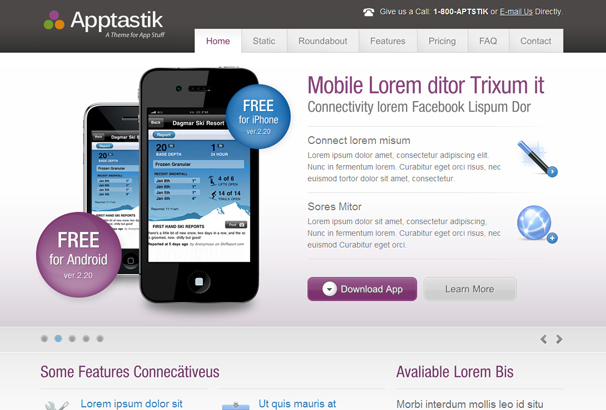 A theme best suited for software apps, phone app usage, and landing page as well. 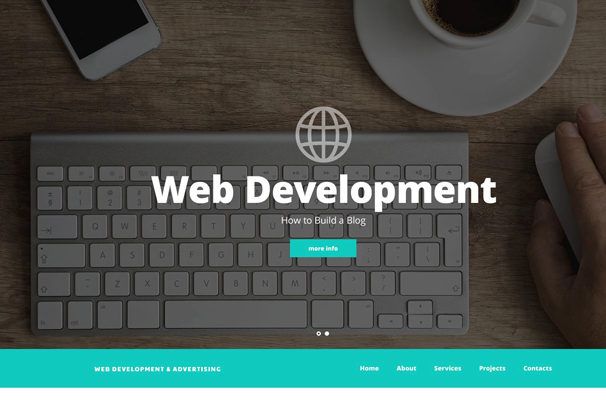 It is loaded with features such as 3 different homepage layout, pricing page, a features page, working contact page with PHP send script, a grid based layout which makes things easy. Coded with Bootstrap 3 and is PayPal integrated, this template comes with 5 homepage options, shop locator, CSS animations, isotope portfolio, 600+ font icons, working forms, slick carousel, SAAS files and much more. 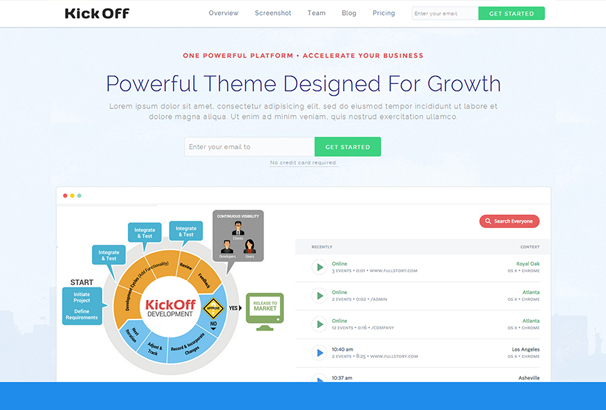 An SEO optimised, responsive design, HTML5/CSS3 template that has 100+ shortcodes, 18 page layouts, free stock photos &amp; icons, infinite design options, dedicated support system and much more. 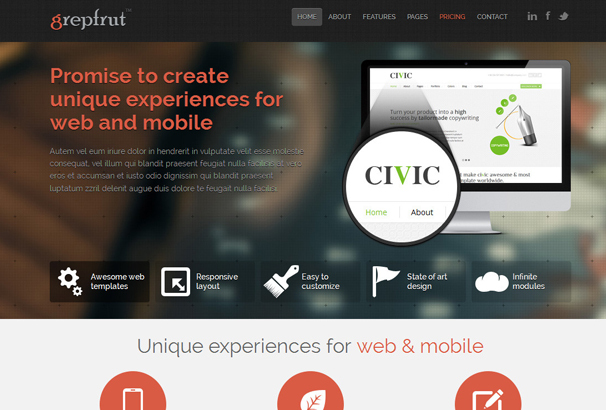 An HTML template with its clean, fresh layout, 7 different page style, 8 color variations can surely impress the visitors. 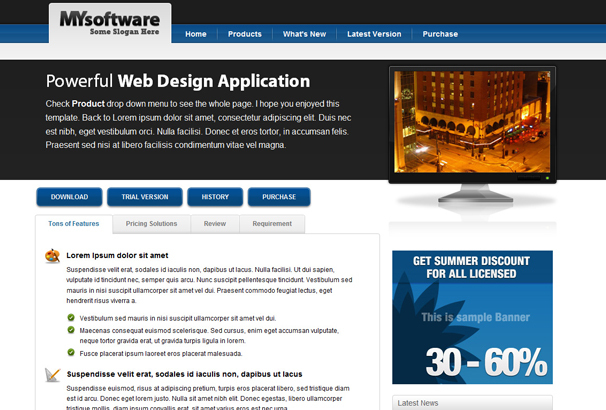 9 PSD files, working contact forms, a valid XHTML and CSS are its other features. If you want a clean, minimal HTML template featuring 5 jQuery-tabbed pages, an Ajax form, custom graphics and complete PSD files, then this theme is yours. to know more about its features, check it out today. Built with HTML5 and CSS3, this template comes with all the modern techniques that you can ever imagine. Custom elements, 30+ plugins, 15+ custom plugins, flexible content structure and 12 column grids are some of those features. 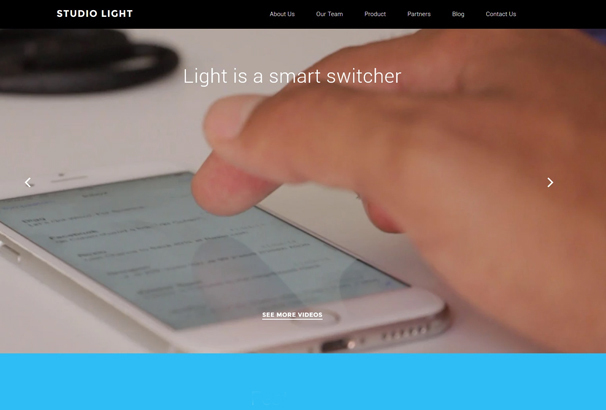 With its clean and unique design, this template can satisfy all your Startup website needs. 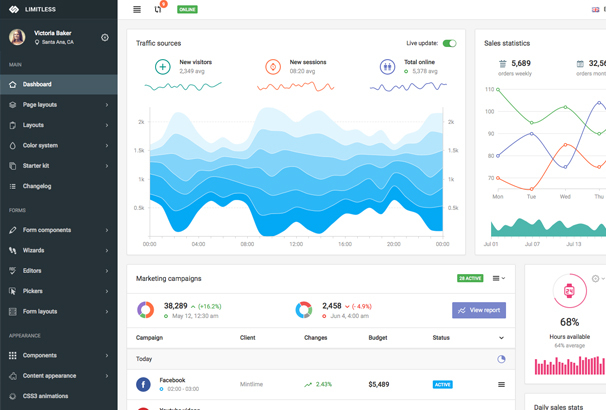 It features easy MailChimp integration, 300+ font awesome icons, Google fonts and fully commented code that is powered by Bootstrap 3. This unique template comes with a clean design and is coded with HTML5/CSS3 that can be used for any purpose. Its features include 3 slider variations, 3 color schemes, pricing tables, layered PSD, detailed documentation and much more. Check it out today. 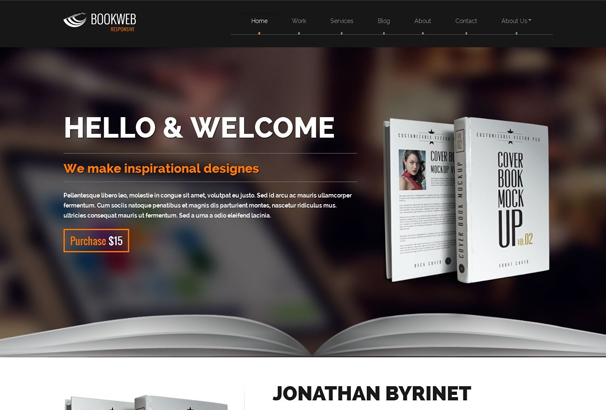 Specially designed for ebook authors and marketers, this HTML5/CSS3 template is bound to catch the attention of your visitors. Google web fonts, php contact form, layered PSD, CSS based navigation, amazing fonts, jQuery enhanced slider and effects are its other features. 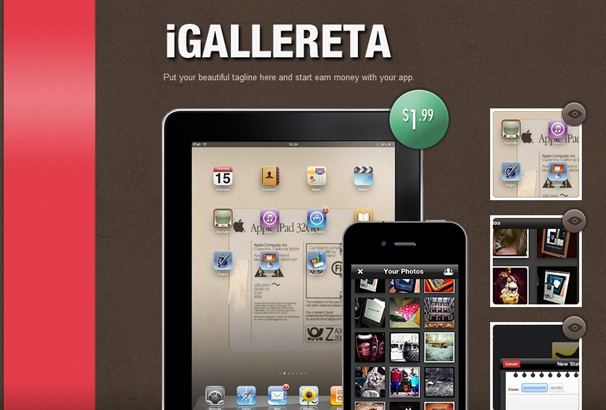 If you are looking for sophisticated and simple App landing page, checkout IGallereta. Packed with features such as valid HTML/CSS, 100s design variations, cross browser compatible, 2 PSDs, this has everything you need to embrace. A perfectly clean template for your product, service or app that comes with 6 different pages, layered photoshop file, PSDs, clean color schemes, CTA buttons, separate files for stretchable elements and CSS sprites. Checkout for more! 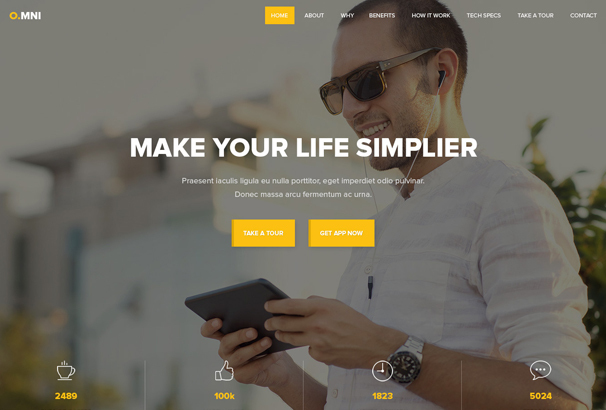 A multi purpose responsive HTML template that includes revolution slider, flex slider, isotope by metafizzy, prettyPhoto, a filterable portfolio, working contact form, PSD files, shortcodes and is W3C valid. Try it today! Mainly suitable for companies that produce or administrate web 2.0 software content. 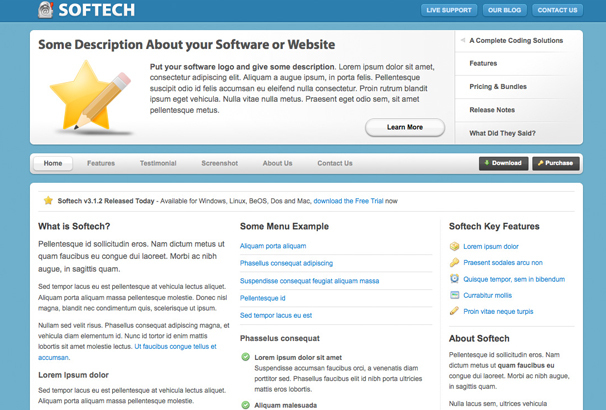 It features cloud jQuery text slider, web 2.0 cloud theme with a repetitive set of clouds, clean layout, 6 PSD files, Georgia system font and FontinSans font for a logo. 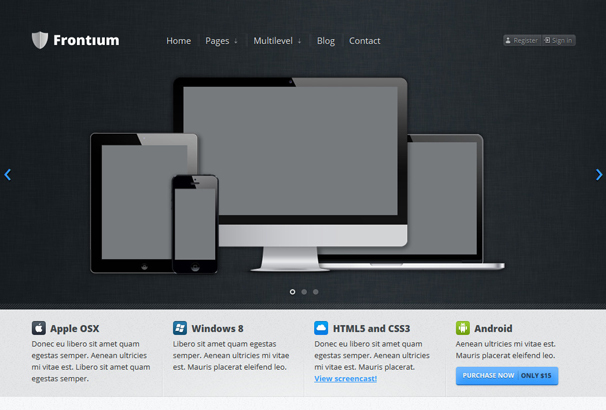 This is a fully responsive, minimalist, clean, modern design template that comes in 6 different colors. Built with HTML5, CSS3 and Bootstrap3, it features 2 headers, 6 colors, parallax animated background, PHP email send the file and much more. 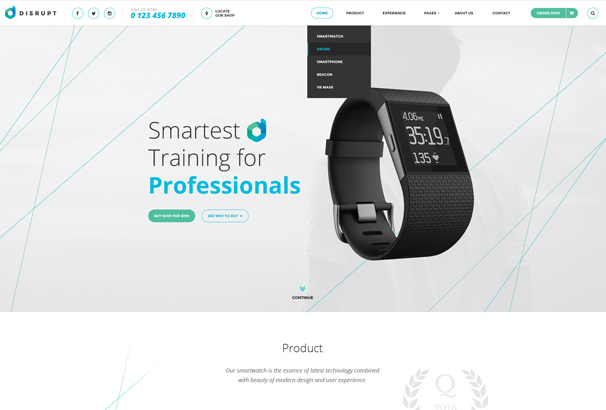 A responsive Business HTML template that includes flex slider, parallax slider, prettyPhoto, a filterable portfolio, working contact form, PSD files and is W3C valid. 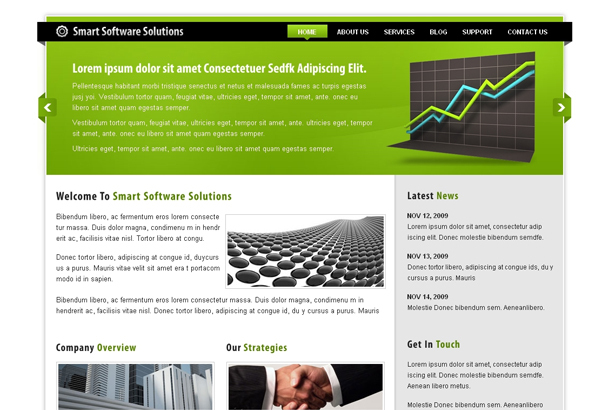 A perfect template for startups and software companies that offers your website a sophisticated professional look. 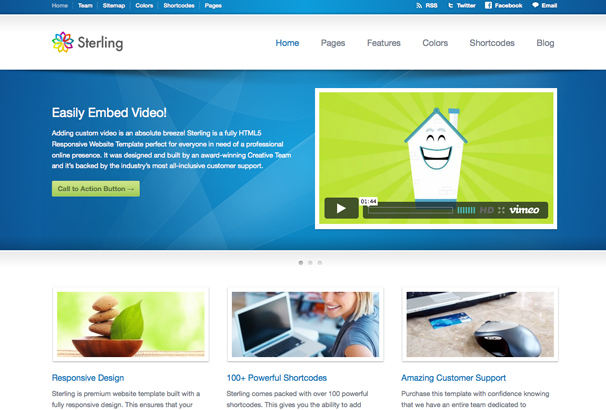 It features Bootstrap, flex slider and is SEO friendly.